The concept of the ‘Civic University’ is one that has been developing in higher education over the past year – with the considerable input and involvement of the University of Plymouth. From hosting round table discussions on how higher education institutions can better serve their communities, to showcasing areas of excellence to the Civic Universities Commission in London, Plymouth’s proud pedigree of working with and for its various communities is very much becoming a model for the future. But what does it mean to be a civic university? How does that manifest across an institution as broad and varied as Plymouth? And who are the people that are making that happen? 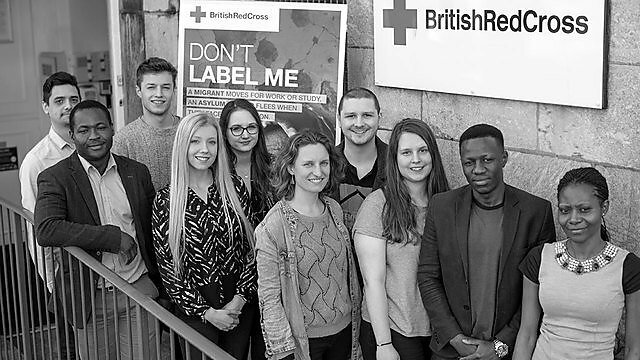 Plymouth students regularly deliver more than 25,000 hours of voluntary work and service each year. Much of this is coordinated by the UPSU Volunteering department, who last year alone introduced 18 new community partners for students to get involved with. But some students go above and beyond to make an impact in the local community – and final year BEd (Hons) Special Educational Needs student Abby Williams is truly an exemplar. Before the first semester of 2018 had even been completed, Abby had logged more than 700 hours of volunteering across three different areas: supporting local Scouts and Guides groups; as a first-aider with St John’s Ambulance; and coordinating student-led volunteering within the Volunteering Society. Initially Abby helped out with RELAYS, which offers a range of creative outreach activities and events for school pupils and young people, focused around sport, culture and education. And, having moved to Plymouth from Kent, she quickly began to help out with city-based Rainbows, Guides, Beavers and Cubs groups. Latterly, she has taken over the running of the Guide group at Crownhill, which has been in the city for 63 years. For the past 18 months, Abby has also been a part of the selection process for the World Scout Jamboree in West Virginia, United States, in 2019. First, she was chosen as an assistant leader – a role that has required additional training – and then has been helping to select the scouts that will attend from across Devon. With graduation now firmly in sight, and a teaching career on the horizon, Abby is very much aware that her volunteering days could be numbered. Last year, University of Plymouth students raised more than a quarter of a million pounds for charitable causes. And by far the biggest contribution to that sum was from events orchestrated or supported by the student Raising and Giving (RAG) group. Emily has been involved with fundraising since she was a teenager, and through her school had the opportunity to undertake charity trips to both Zambia and Tanzania. The trip to Kilimanjaro is one of the annual ‘adventures’ overseen by RAG, alongside the smaller, more traditional campus-based events such as jailbreaks and charity balls. This year, the team took on responsibility for six in total, and they attracted around 70 students, who each had to meet a fundraising target through their own events and efforts. For example, any student wanting to go on either the Kilimanjaro, Machu Picchu, or Everest Base Camp adventures had to raise £3,300, which was split equally between covering the cost of their trip and a donation to the associated charity, Meningitis Research, Action Against Hunger, and Hope for Children respectively. Similarly, anyone choosing the East Africa adventure, supporting the East African Playgrounds charity, was required to raise £2,000, which contributed to the funding of a village playground that they themselves helped to build. With events management, illustration and web development students volunteering their time to help with RAG, and using their skills to organise events, the group is also making a valuable contribution to future graduate employability. More than a quarter of academics and professional services staff work collaboratively with local businesses, community or charity organisations in the course of their roles at the University. The Law Clinic, part of the School of Law, Criminology and Government, does that and more – reaching out directly to members of the public to provide pro bono legal advice and support across family, employment, and welfare law, and refugee family reunion. 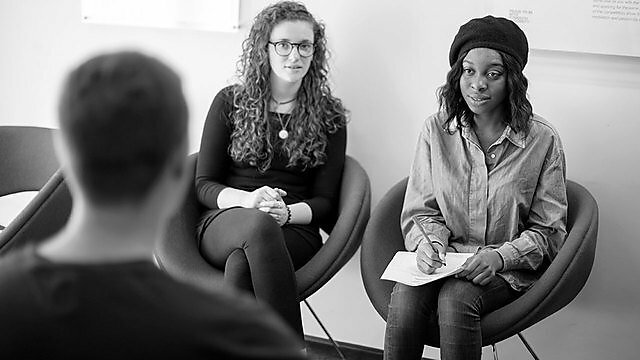 All of the clinics sit once a week, receiving referrals from partner organisations such as the British Red Cross and the Racial Equality Council as well as people walking in off the street. Around 80 second and third year students, who elect to take the module, work in one of the clinics, supervised by an academic. Third year students handle the face-to-face meetings, taking notes, offering guidance, and signposting people to further help. They will also follow cases, issue formal letters of advice, assist in applying for different forms of aid, and help clients prepare for employment tribunals. 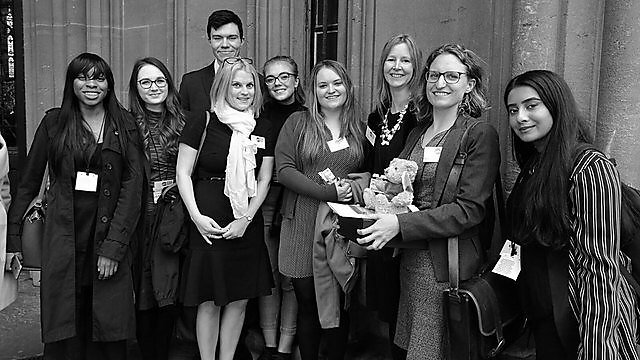 The clinics have been running for more than four years and in 2018, the project won 'Best Contribution by a Law School' at the annual LawWorks and Attorney General Student Pro Bono Awards, held at the House of Commons. Rosie says they are now building on their legacy by taking the student engagement work proactively out into the community, based upon a US-style ‘street law’ approach. With funding from the ESME Fairburn Foundation, administered by the Plymouth Octopus Project, this involves presenting to small groups and to organisations, explaining the legal system and some of the terminology. Students are also involved in a teaching project, delivering sessions on international humanitarian law to Devonport High School for Girls. And furthermore, the Law School is working with colleagues in medicine and architecture on interdisciplinary community welfare initiatives, and has partnerships with Shelter and Citizens Advice. From the diverse public arts programme orchestrated by the Arts Institute, to the many graduates who choose to remain in the South West to pursue their careers in the creative industries, the University plays an important role in shaping the artistic and cultural landscape of the region. This is especially true for those academics whose expertise is called upon by external groups and partners. 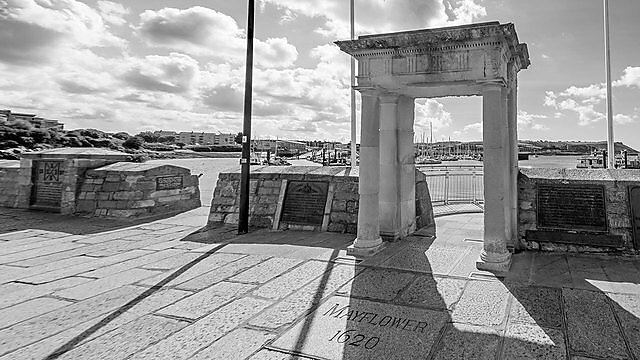 Dr Kathryn Gray, Associate Professor of Early American Literature, has been advising the Mayflower 400 team at Plymouth City Council on its programme of events and activities that will commemorate the 400th anniversary of the sailing of the Mayflower, set to take place in 2020. An expert in transatlantic literature and culture, Kathryn has researched and written about many of the key historical texts of the 17th and 18th Century, including Mourt’s Relation, which offers the first insight into the life of the Plymouth colonists who sailed on board the Mayflower on 1620. This has enabled her to offer a more nuanced perspective on the historical landmark, and therefore the anniversary itself. Kathryn has been involved with the Mayflower project since meeting the US Ambassador and his cultural attaché in 2014 when they visited Plymouth. Since then, she has worked on a wide range of different projects, from providing input into educational resources and the City Council’s website to delivering training to the Mayflower Makers volunteer programme so that they have access to the wider historical context. 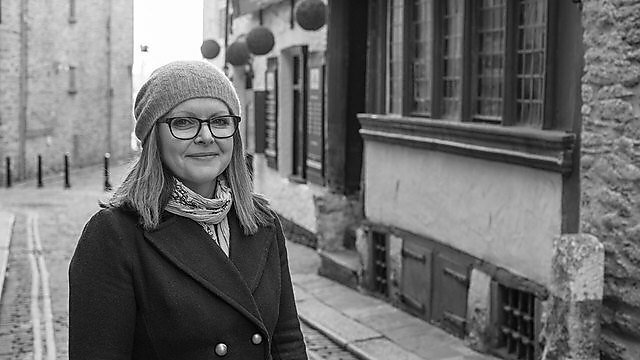 In 2015, she launched the Mayflower Lecture Series with the ambition of supporting academic and public engagement events that focus on transatlantic literature and culture from the early modern period to the present day. They have proven to be a strong success and have featured award-winning Native American chef, food historian, and photographer Dr Lois Ellen Frank; Mary Nolan, Professor of History at New York University; and most recently Jack Davey, the former curator at the British Museum. 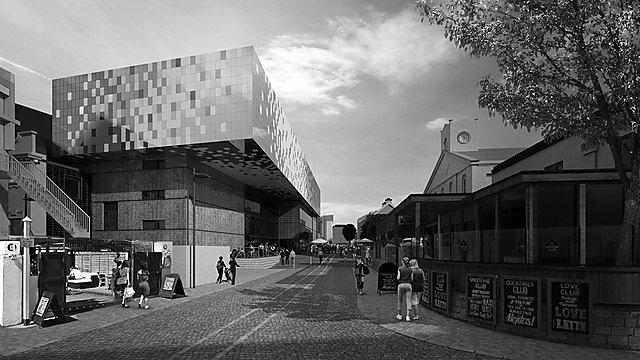 Kathryn is also working with Jo Loosemore, curator at The Box, the city’s under-development history centre, to help create an exhibition on the Mayflower for the grand opening. They were invited to share their vision for the exhibition to delegates of the National Archives annual conference in November 2018. The foreword to Transport Matters, the soon-to-be-published book edited by Professor Jon Shaw (in collaboration with regular academic partner Professor Iain Docherty of the University of Glasgow), pays tribute to the spirit of collaboration that exists in the realm of transport research. It is calculated that University staff deliver more than 255,000 hours of voluntary public engagement and public service activity worth around £17.6 million each year. And Jon, an internationally respected academic in the realm of sustainable transport, has repeatedly delved into the geographical implications of mobility and accessibility in the context of transport, governance, and passenger experience. In the policy arena, he is a former special advisor to the government’s Transport Select Committee on the road network, and current member of the Plymouth Strategic Infrastructure Board. And he is also a member of GWR’s Stakeholder Advisory Board, and chairs the Scientific Advisory Board of econex verkehrsconsult in Germany. And this has quite literally been the case with Jon’s ongoing project around smart ticketing. Undertaken in collaboration with Dr Andrew Seedhouse, this 4-star impact case study from the 2014 Research Excellence Framework has created a legacy that continues to grow with every passing year. Working alongside Jon, Andrew set up a company with the aim of replicating the kind of harmonious smart ticketing system offered by Oyster in London, but bringing together the different transport operators in the region. With the support of the Department of Transport, the company has expanded from pilot projects in Norfolk to directly processing ticket sales right across the country, including here in the South West. With the creation of the Peninsula Dental School in 2006, the University has been working to address health inequalities in the region, and in particular the issue of access to an NHS dentist. Undergraduate students learn their skills in four dental education facilities (DEF) – two in Plymouth, one in Exeter, and one in Truro – alongside specific community engagement projects. Last year, students treated more than 5,300 patients under supervision, across 20,000 appointments. And qualified staff undertook a further 2,000 appointments for more complicated cases, such as restorative dentistry. Indeed, the Economic Impact Report unveiled in 2018 estimated that dental treatment delivered by staff contributed around £9.4 million in quality of life gains. Christina Worle, of the Peninsula Dental Social Enterprise ( PDSE), which oversees the University’s community-facing dentistry work, is one such member of staff making a huge impact upon the community and student experience as well. A graduate of the University’s dentistry degree from 2015, Christina had been working at a practice in Bristol when she applied for a role in the PDSE. She now works as a general dentist at the Devonport DEF, and supervises dental students, as well as stepping in to handle more complex cases. And, in addition to studying for her MSc Restorative Dentistry at the University, she runs a dedicated community clinic every Monday, focusing upon those people that are or have been homeless. Many of Christina’s patients are referred via the Salvation Army and the Shekinah Mission, and the clinic is run in a way that strikes a balance between providing flexibility of appointment time while also ensuring that her time isn’t wasted if patients miss their slots. There is no deregistration penalty, but if patients continue to miss appointments, then Christina can work with a volunteer at the Well Connected charity to help patients attend their appointments. And Christina is very aware of the mental barriers many of her community patients face around dentistry and dental health. And away from the more pressurised, target-driven environment of NHS dentistry, Christina says she is grateful for the 'blessing of time' that she has to work with these vulnerable members of the community.